Are you looking for some new park inspo? Whether you want seaside views, epic kids’ playgrounds, or furry friendly venues… we’ve found the park for you! With school holidays upon us, you might be looking to shake up your playground repertoire. North or South ? Or if fenced is a must ? If you’re looking for a pram friendly park trail, try the Roma St Parkland or close to our heart, the Wynnum/Manly Foreshore. 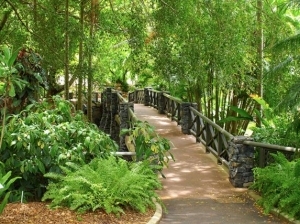 Take your family park visit to the next level at Mt Coot-tha’s Botanical Gardens by following the ‘Hide ‘n’ Seek Trail’. Collect a map at the start of your adventure or download it here. 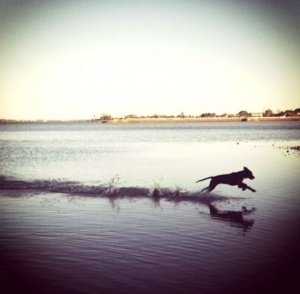 Your furry family members will appreciate sniffing out this list of every dog-friendly park in Brisbane- and if your pooch loves the water, Tuckeroo Park is next to a leash free beach as well. Want to explore a new ‘burb? The Brisbane Parks website has suburb specific park lists which outline every single facility each park offers! Finally, if you’re like us and need the smell and view of the water, here is a list of all the waterside parks Brisbane has to offer… of course our unbiased personal favourite is the Manly foreshore! Which is why we run our outdoor training classes there on a Tuesday and Friday morning at 8.30am. If you’d like more information on these classes feel free to contact Catherine, at catherine@liverightpt.com.au. https://www.liverightpt.com.au/wp-content/uploads/2018/07/boardwalk.jpg 533 800 Jay https://www.liverightpt.com.au/wp-content/uploads/2016/03/liveright_logo_sml-300x126.png Jay2018-07-08 22:40:152018-07-08 22:43:18It's Park Time !